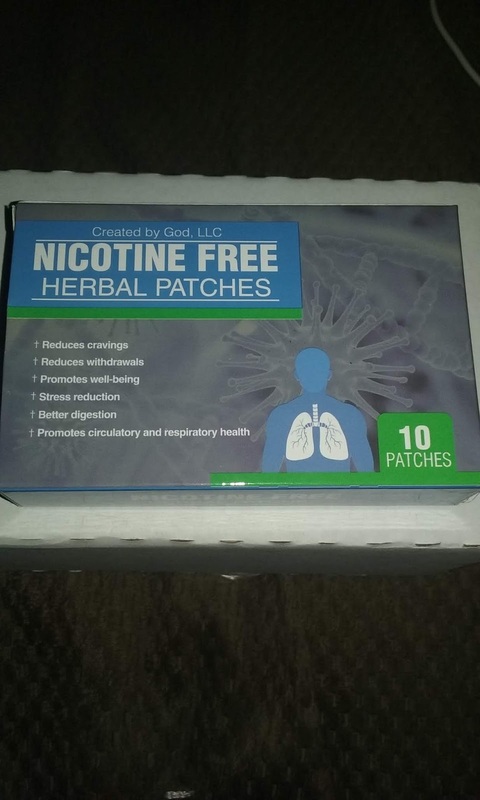 Hunka Hunka Burning Reviews: Let's all be nicotine free! Let's all be nicotine free! In high school, you do a lot of things to try and be cool. One of those things for me, was smoking. Twenty years later, I quit three times while I was pregnant, but always went back and am still smoking. When you're 18, you don't think about the future health risks. Now, that i'm older and wiser, I know I need to quit smoking. That, is easier said than done. 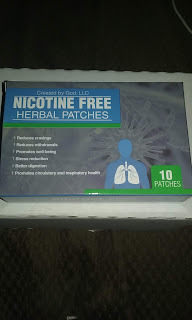 When I first saw this product, I thought, "Nicotine free will never work for me." On that note, I was right, and wrong. First, let's start out by talking about the patches. 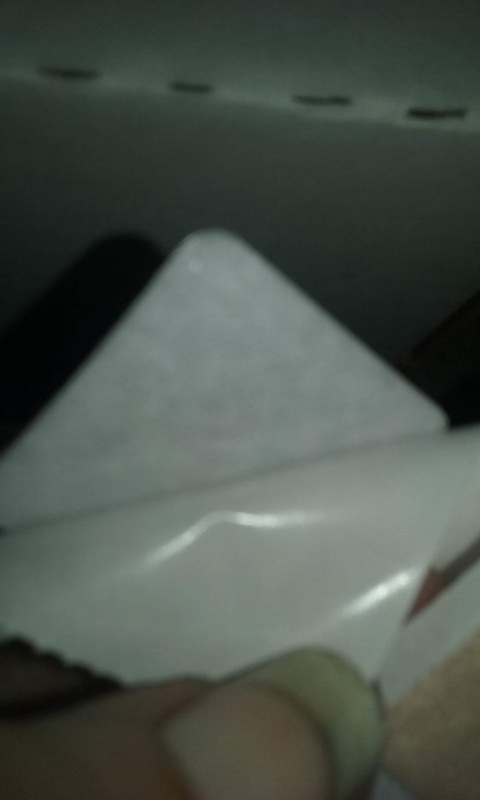 They appear to the normal eye to be a bandaid but a second look shows that it's really a patch. 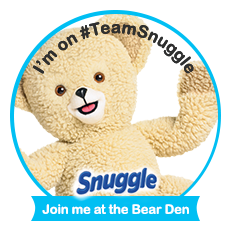 They make patches for everything nowadays, so the judgements should be low. 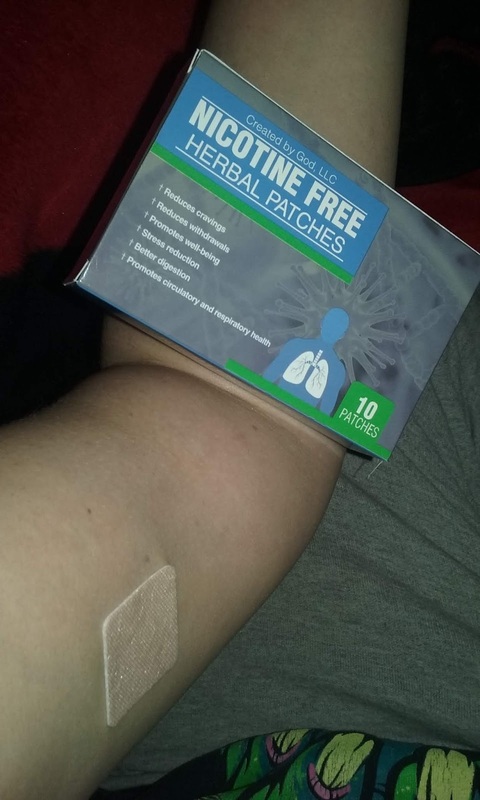 These patches go on easily and they don't move on you once they are on. On the flip side, they are super easy to peel off and they don't hurt or leave irritation. 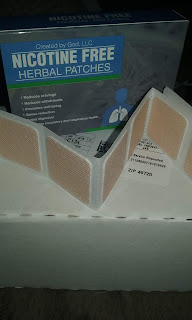 Normal patches, make you sick when you smoke, and keep away the cravings, but at a cost. You won't feel very good and of course you are going to be grumpy. These patches though, don't make you sick. They don't even hold off the cravings. But they do at the same time. It's weird. They didn't make me not want a cig, but they also kept me from really wanting one. Smoking with them on, is almost like smoking with them off, except for the fact that they made cigs taste funny to me. I haven't smoked a full cig at one time since I started wearing these. I haven't stopped, but I think these may help me stop eventually. There are only 10 in a pack, but you wear one for three days, so it is a full month supply. For the price, I think it's worth it and a great way to wean..nicotine free. I love this idea. How did you stop smoking? We really need to and I need all the help I can get. Please comment below. I received this product in exchange for my honest review. Regardless of price, all opinions are 100% honest and my own.